Take 1 capsule one or two times a day, best in the morning. Do not take more than 3 capsules daily. Take one or two capsules a day, from 300 to 600 mg as recommended by the manufacturer. This is the gold standard used in supplementation, although some sources indicate that even 1200 mg dose does not cause any side effects. Normally, it is worth starting with the lowest dose (1 capsule) and gradually increase it. In order to make the best use of the pro-cognitive potential of the active substance, the supplement should be taken in the first half of the day. 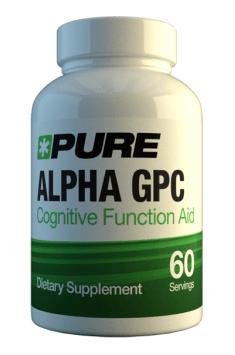 Alpha GPC perfectly complements the activity of racetams and nootropics. The only compound with which Alpha GPC causes adverse interaction is scopolamine, commonly used to treat irritable bowel syndrome or motion sickness. People taking scopolamine cannot use Alpha GPC.